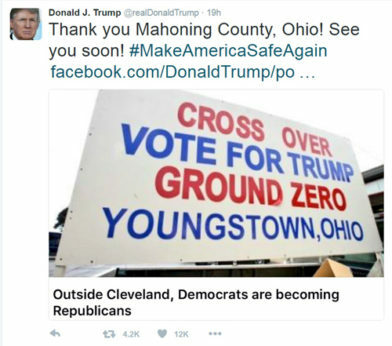 YOUNGSTOWN, Ohio—Two years ago, I described the Youngstown area as “crossover ground zero” for Donald Trump and the politics of resentment in working-class and rust belt communities. In local rallies during the 2016 campaign and since he took office, Trump has repeatedly promised an economic renaissance and immigration reform. These issues resonated with local voters. His success in Youngstown might seem surprising, since Mahoning and Trumbull Counties usually vote by large margins for Democratic presidential candidates. In 2012, 63.5 percent of Mahoning County voters supported Obama, even more than in 2008. But in the 2016 Republican primary, more than 6,000 Mahoning County Democrats switched parties, and another 20,000 people who had not been registered voters signed up to vote. Clinton won the presidential race here by less than 1 percent, and Trump won in Trumbull County. A 2016 tweet from then-presidential candidate Donald Trump. But as the summer went on, I sensed an undercurrent of uneasiness, especially among the area’s much-touted swing voters. While Trump crows about what a “great job” he’s doing, some of his supporters wonder whether local residents will benefit from his tax cuts. The national debt has climbed to over one trillion dollars, and rising health care costs and gas prices have eroded any financial gains for most Americans. Yes, unemployment rates have fallen, but underemployment, low wages, reduced pensions, low property values, and increasing precarity in the Mahoning Valley have made it hard to believe in Trump’s economic happy talk. And talk among some in Congress about cutting Social Security and Medicare benefits to offset the deficit is adding to the local anxiety. The local economic picture clearly does not offer many signs of hope. The GM Lordstown plant has eliminated two shifts, cutting 3,000 jobs since Trump took office. According to recently retired UAW Local Vice President Tim O’Hara, about 40 percent of union members voted for Trump in 2016. Yet Trump’s trade policy still appeals to many local voters. Youngstowners have long blamed the loss of its steel industry on unfair trade, and many here still support the protectionist ideas of Trump’s Secretary of Commerce Wilbur Ross, U.S. Trade Representative Robert Lighthizer, and local free trade critics like Democrats Sherrod Brown and Tim Ryan. Few of the retail, public sector, and healthcare workers I’ve spoken with admitted they had supported Trump. Those who did were evasive and seemed uncomfortable talking about him. It seems likely that workers in these jobs are anxious about the continuing budget cuts, loss of local state funding and government assistance, and, more recently, the closing one of the two local hospitals, which displaced 400 nurses and other staff. Service workers who supported Trump may be starting to understand the limits of the politics of resentment. Clearly, neither Trump’s campaign promises nor his policies are making Youngstown great again. The question is, will the community’s continuing economic struggles lead people to turn against Trump and the Republicans? Or bring them back to the Democrats? NPR reporter Asma Khalid, who has tracked Trump’s support in Youngstown for the past two years, is uncertain. Among the “disillusioned” Democrats she spoke with, some still support Trump, though they also plan to vote for Democrats like Brown and Ryan this November. 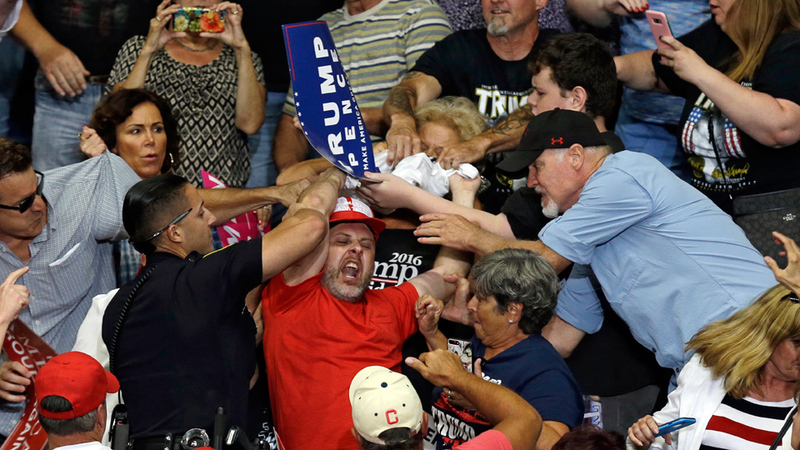 Mahoning County Democratic Chairperson David Betras also doubts whether the Trump fever has broken in Youngstown. The best he can say is that “the temperature is going down.” His advice to Democrats: Follow the lead of Brown and Ryan—stress concrete economic programs, healthcare, education, and building trust. A focus on the economy, Betras believes, will win out, even as Trump and the Republicans try to distract voters with often-racist cultural divides, like whether NFL players should be allowed to kneel. Yet many in Youngstown are fed-up with both parties. When I asked retired small businessman, Democrat, and Trump enthusiast Sam Carely who he supports in 2018, his response reflects a distinct lack of enthusiasm: “I am not sure if I will vote. But if I do I would probably vote for a Democrat—if I could find a reason.” Carely is tired of interparty fighting, and he is not alone. Many would prefer to vote for Democrats, but they are desperate for an economic plan that isn’t just campaign rhetoric. For them, as for many voters around the country, the Trump fever will only break when Democrats give them something to believe in. This article originally appeared at the Working-Class Perspectives site, hosted by Georgetown University’s Kalmanovitz Initiative for Labor and the Working Poor. 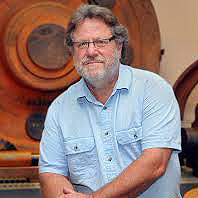 John Russo is the former co-director of the Center for Working-Class Studies and coordinator of the Labor Studies Program at Youngstown State University. Currently, he is a visiting scholar at the Kalmanovitz Initiative for Labor and Working Poor at Georgetown University. Russo has published widely on labor and social issues, in academic journals as well as magazines and newspapers. He is also associate editor of the blog Working-Class Perspectives.